Home Sports Mourinho and Pep used to be Masters of the Champions League. What has changed? 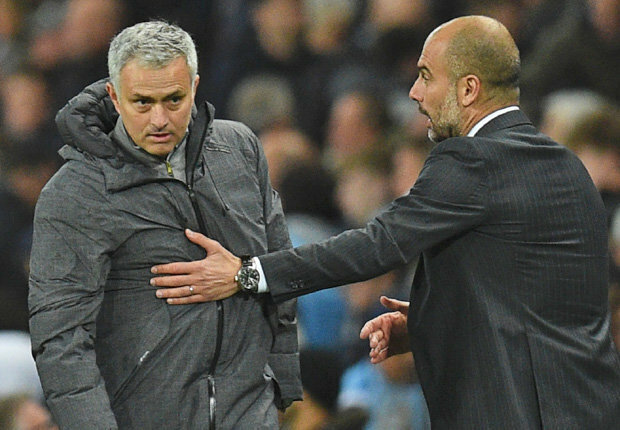 Mourinho and Pep used to be Masters of the Champions League. What has changed? "I am the special one" Mourinho said in 2004, after guiding Porto to the Champions league trophy, and was preparing for life in the English capital. The British press soaked it up and blarred it in their front pages. Indeed, what Mourinho achieved with Porto was special considdring the Portugese club's pedigree in the tournament. Mourinho would go on to win the Prestigious tournament with another unheralded team - Inter Milan, defeating nemsis, Barcelona in the semi-final. But beyond winning, a Mourinho team, with its pragmatism and safe first approach were tailored made for the Champions League, and more often than not showed it. While Guardiola, tactically, is the opposite of the Portugese, he also made the Champions league later stages year in, year out and infact has the highest winning percentage of all managers in the compeition's history. Guardiola has also won it twice, defeating Ferguson's united on both occassions, to also introduce himself into the upper uchelons of coaching talent in the World. Both managers were expected year in year out to get to at least the Quarter final of the champions league, and they never dissapointed. Their styles might differ, but their results were akin to each other. Over the last couple of years, things have changed, and managers like Zidane have usurped both and are the ever present in those stages. Mourinho hasn't played in the Semi-final of the Champions League for four years and Guradiola hasnt done the same for two years since he resumed the role at Manchester City. There are lots of reasons why this might be so, but I think the most important is that, at a certain level, the teams with the better players win, often irespective of who is managing. I believe gone are the days where a certain Porto can come to the Champions League and win it. The stakes are higher now, and the big teams are investing almost umheard of figures to ensure they do well. That doesn't reveal everything though considering Pep's city were eliminated last year by Monaco who beyond all doubt has an inferior team to City's, and looks set to be dumped out by Liverpool who are almost 20 points behind them in the league. Mourinho on the other hand was eliminated by Sevilla. For most United fans , it wasn't just about being eliminated by an inconsistent middle of the table Spanish team, but the manner of defeat, or the whimper showed by United in both legs. While both managers are legends in their own right, but it seems, at least in Europe, they don't hold sway the way they used to do.